Our New York office is proud to unveil our in-house ceramics lab, which enables Dr. Apa and his team to exact a tremendous amount of oversight in the customization process, significantly reduces turnaround times, and allows unprecedented access between ceramists and patients, all which provides an unsurpassed level of quality, customization and convenience. 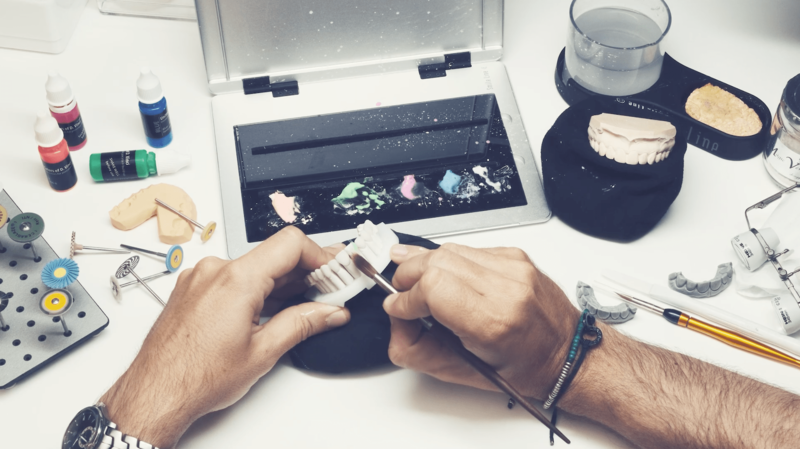 From our own blend of ceramic that closely mimics natural teeth, to our unique process for creating facial harmony through the smile, the care we offer our clients is truly one-of-a-kind. The making of a smile—watch the slideshow below for the design & planning of a cosmetic smile lift. Dr. Apa fits a temporary smile to the patient. He then minimally shapes and fits their teeth for the temporary veneers they will wear for just under a week. This unique step allows patients to test drive their new, improved smile. After wearing the temporary smile, the patient returns to provide feedback on the look and fit of their veneers. Using this feedback, a master ceramist makes a new mold before creating the final veneers. Dr. Apa fits the patient with the permanent veneers. At this time, he removes the temporary veneers and the patient receives their new, permanent smile. During this final re-contouring appointment, Dr. Apa applies the finishing touches to the patient’s new smile. It occurs one to two days after the veneers are fitted. Veneers, if treated properly, should look and feel great for up to 15 years after their placement. Most patients forget they have them after a month or so because facial muscles adapt to the new teeth and make them look more natural than the day they were put in. Copyright © 2019 Apa Aesthetic. All rights reserved.